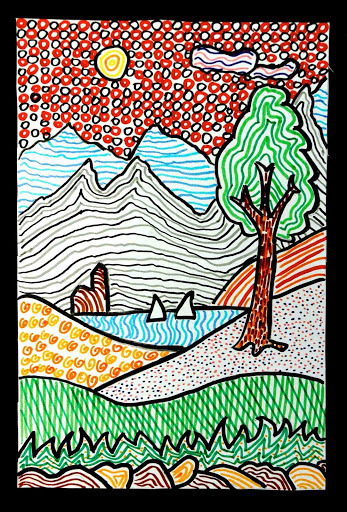 With colored felt tip pens we have drew these landscapes, starting from a stylized drawing of a simple landscape (rocks, grass, hills, a tree, a lake with boats, some other hills and mountains in the background) . Each area of the landscape is filled with a different texture and the effect is beautiful! 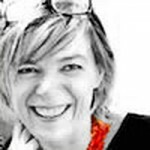 Miriam, thanks for visiting my blog. I love your students work and the projects you give them. 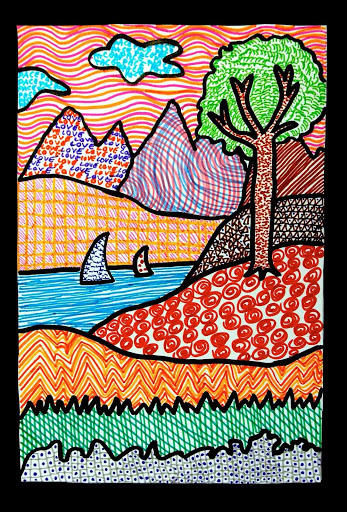 This landscape lesson is perfect for pattern, line and colour. Thanks for sharing. These are fantastic! How are these done? Can you point me to a tutorial or something like? I love doing projects with my kids but I'm always nervous to try something new and any directions would be very helpful. Thanks for sharing. Thanks for sharing this lesson – my 4th graders just had a ball with it! 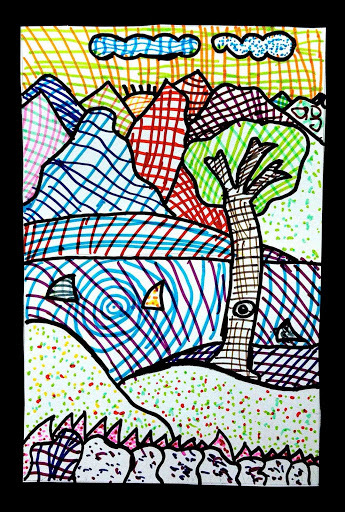 http://kunstitund.wordpress.com/2012/09/14/graafiline-perspektiiv-ja-sugisesed-varvid/I used Your idea, it was great. Thank You! Love it! Used this lesson in the art room today and it was a hit with younger and older students – THANK YOU! Love this. So simple to use as a beginning to textures with my class. Thank you! 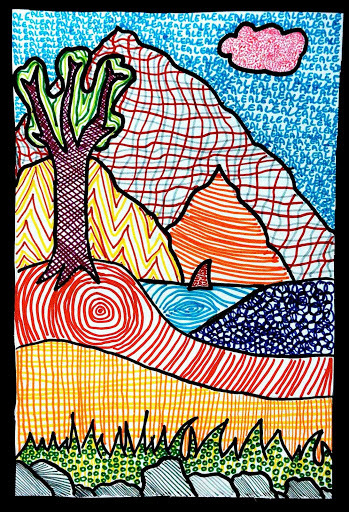 I love your blog and just wanted to let you know that I used your colour zentangle landscapes idea with my grade 5 students earlier this year and they produced such fantastic artwork. They were mesmerised by the work of your students! My students were all very proud of themselves when they finished their large, complex drawings. I have included a link to your blog in my blog post about this work. 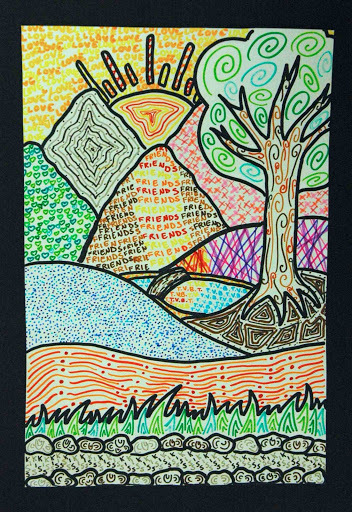 Thank you Shelley for sharing the pictures of your students’ works! Those are amazing, and your students have to be proud! !